I’ve been told that I need to replace my door lock actuator? What the heck is that? If you have never had doors that lock automatically or through a key fob then this might be very confusing for you. A power door actuator is basically a motor that will automatically lock or unlock your door when asked. It is also common to find this part on your trunk or rear hatch. It can be on the driver side, passenger side, or both. It also can operate through a button push. I’m not really sure that is the problem with my Silverado. What are some symptoms of a vehicle with a bad actuator? The first thing that most people notice is that their doors will not unlock or lock consistently. It may work sometimes and not work other times. Of course, it may stop altogether. The actuator is sometimes tied into the lighting systems and alarm system which means that you could have malfunctions with those operations. You may have a fully closed door but have a light on like the door is open or vice versa. You may also hear noises from the actuator like groaning. In fact, there are some cases where the actuator will close and open the lock without stopping. Obviously, this will drain your battery over time if not handled quickly. So, if this thing is tied into my electric system then do I need to be conscious of it? I mean, is it going to make my whole vehicle shut down sometime when I’m driving? No. Most of the time you will have no problems with the door actuator interfering or destroying your electronic systems while driving. However, you should be careful with your belongings because your lock system will be unreliable. You should assume that you have to manually lock and check your vehicle after you leave it. 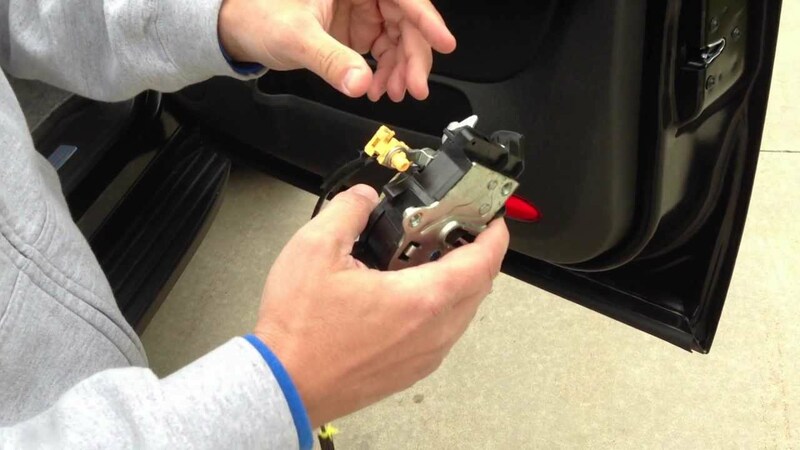 If you develop the problem where the light is still on or the actuator will continuously try to lock and unlock the door then you will have to have this problem dealt with before it drains your battery completely. Is there a certain amount of time or a mileage where I should start thinking about getting my door actuator changed? Unfortunately, a lot has to deal with how you use the locks. The frequency with which you ask the system to activate dictates how soon you will need to change your door lock actuator. There is no hard and fast rule on when this problem could develop or if it ever will develop while you own the vehicle. If I do get this thing fixed then is their stuff I should know for after the repair is done? You should check to make sure that your door panel is secure. You should also test the system and watch your interior lights and an alarm system you may have installed in your vehicle. If anything is not functioning then you should tell your repair shop as soon as you can so that it gets fixed properly.